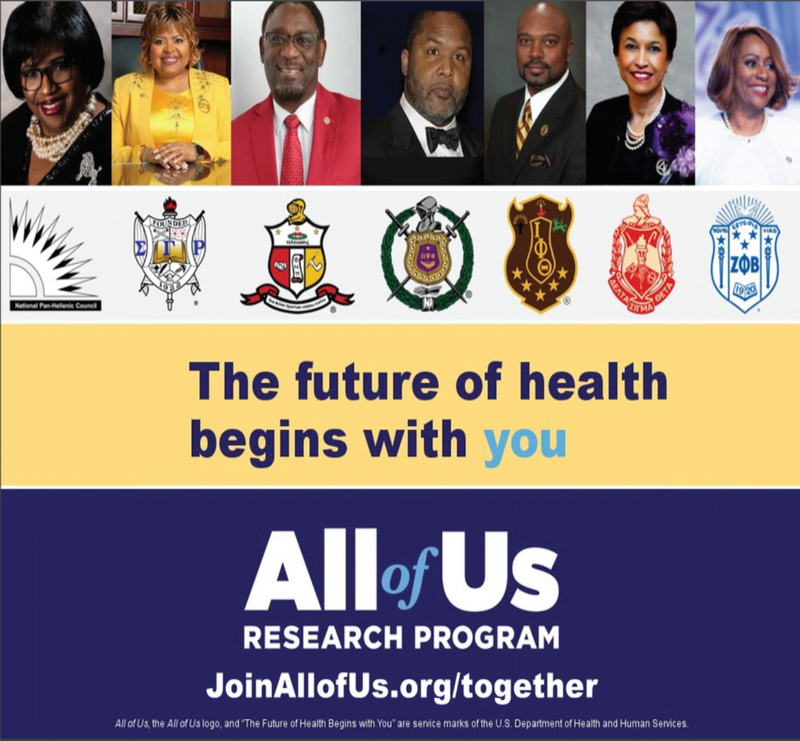 As a partner, the BGLC will be engaged in a variety of activities to educate our community about precision medicine, and it will raise interest in participating in the All of Us Research Program. The NPHC has hosted webinars and shared social media messages to further discussion and understanding about the program. Undergraduate and graduate chapters have partnered with BGLC to host webinar watch parties on college campuses, shared information at chapter meetings and activities, presented on the program at local, regional and national convenings, and partnered with the National Baptist Convention to engage parishioners. 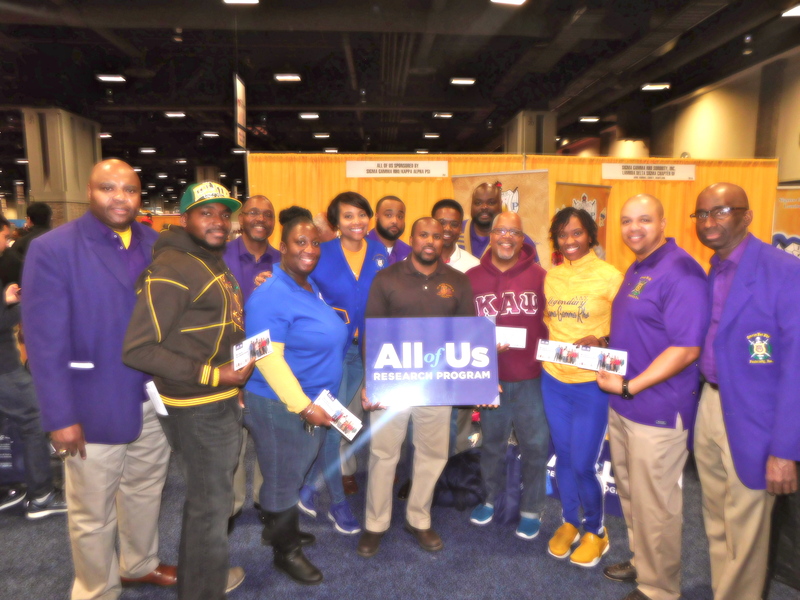 This past weekend members of Sigma Gamma Rho Sorority, Inc, Iota Phi Theta Fraternity, Inc, Omega Psi Phi Fraternity, Inc and Kappa Alpha Psi Fraternity, Inc were at the NBC4 Health & Wellness Expo to promote the All of Us Research Program. Each organization wanted to understand the level of knowledge within the community about precision medicine and the All of Us Research Program so they can assess the impact of their activities and further amplify the message effectively. 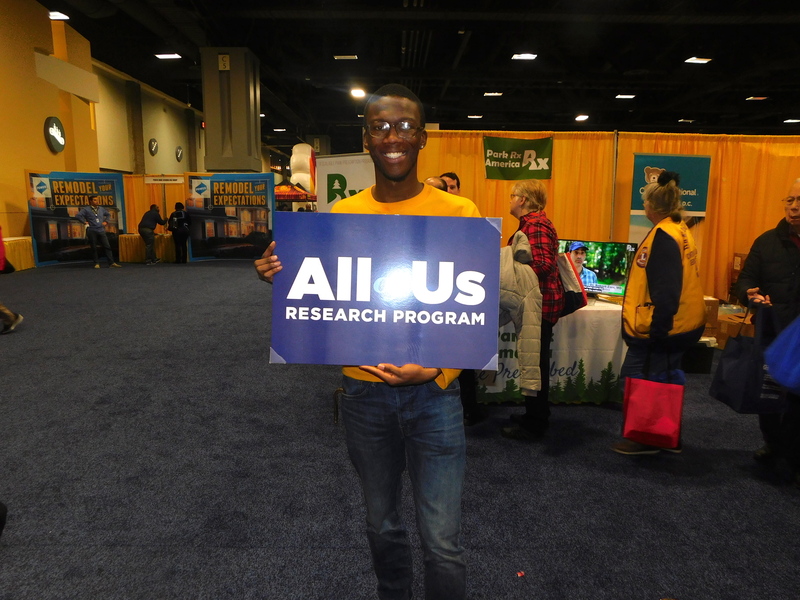 The All of Us Research Program will help researchers understand more about why people get sick or stay healthy. People who join will be providing information about their health, habits, and what it’s like where they live. By looking for patterns, researchers may learn more about what affects people’s health. Participants will share information over many years, in a variety of ways. People will complete surveys and will be asked to share health information, such as their electronic health records, physical measurements, blood and urine samples. They can also use wearable technologies, like their Fitbit, to record and share their data to the program. All types of researchers, including citizen scientists to investigators in academia and industry, may request free access to the data. Their analyses may yield new insights about how individual differences affect health and disease, potentially leading to more tailored treatments and prevention strategies in the future. Participants will be de-identified in the data to protect their privacy. • Better tests to see if people are sick or are at risk of getting sick. • Better mobile apps to encourage healthy habits. • Better medicine or information about what dosage is right for each person. lend our voices as true partners in the research process. The program will reflect the rich diversity of America, and we are at the forefront of efforts for inclusivity.